Each unit at Hotel Frideriki has a furnished balcony or terrace with a view either to the sea or to the village and these are best suited to couples and families with young children.Surrounded by trees, plants and flowers, Hotel Frideriki is an oasis in the hustle and bustle of Platanias - a pleasure to stay in while taking a break from the sandy beach of Platanias, just 100 meters from the hotel. 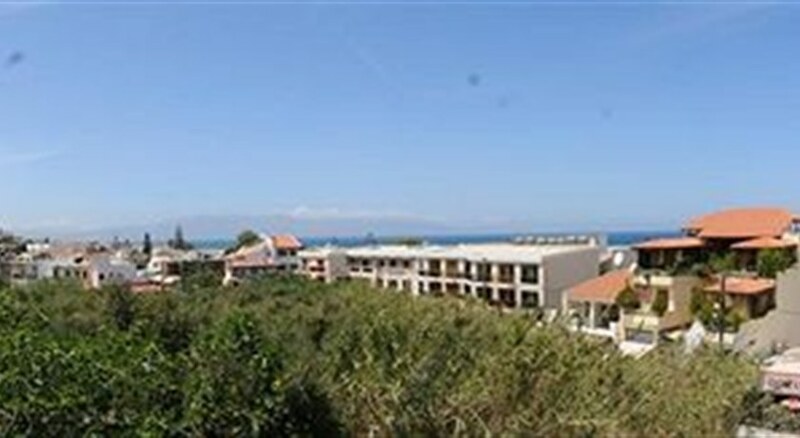 Hotel Frideriki lies in the heart of Platanias - the ‘tourist capital’ of Chania. 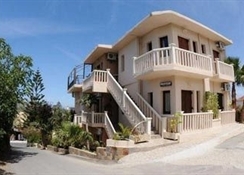 This small family run hotel, originally built in 1992 and renovated in 2004, offers 7 studios and 2 apartments which are well equipped, spacious and comfortable. Each unit at Hotel Frideriki has a furnished balcony or terrace with a view either to the sea or to the village and these are best suited to couples and families with young children. 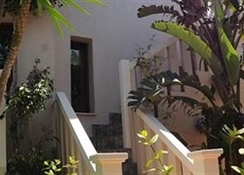 Surrounded by trees, plants and flowers, Hotel Frideriki is an oasis in the hustle and bustle of Platanias - a pleasure to stay in while taking a break from the sandy beach of Platanias, just 100 meters from the hotel. In Platanias, the absolute centre of tourism and entertainment in Chania, you can enjoy any form of entertainment that may come to mind; water sports, walks, hiking, entertainment venues for families, cafes, bars, restaurants and lively nightlife. From here you can also take day trips to several other well known beaches, like Falassarna and Elafonisos or take a ferry from Kissamos port to Balos lagoon and Gramvousa islet, hike the Samaria gorge, visit archaeological and historical sites and experience the must-see Old Venetian harbor and centre of Chania.